If your child has crooked, misaligned or crowded teeth, getting him or her fitted for braces is probably the best option to correct his or her teeth. Braces improve your child’s oral health and they give him or her the confidence to smile at strangers, friends, and family without hesitation. The braces are made with wires, attached to the teeth, and adjusted by the orthodontist as the teeth move into their correct positions. The braces are made with a clear material and are not noticeable to others. These braces can be taken out for cleaning and while eating. 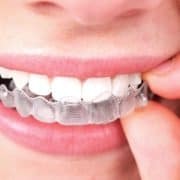 The braces are made with metal, bonded to the rear of the teeth where they cannot be seen, and they are routinely adjusted by the orthodontist as the teeth move into their correct places. It is easier to brush and floss your teeth and to keep your gums healthy. Straight teeth also help to prevent any jaw problems and allow you to chew food better. 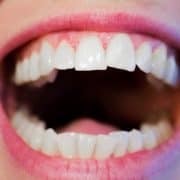 Straight teeth enable you to speak without any impediments. You now have a sense of self-joy in being able to talk with and smile at anyone at any time. Every time someone’s braces are removed and he or she looks at a mirror, we see how smiling changes lives. There is a real happiness in having perfectly straight teeth and a great smile. 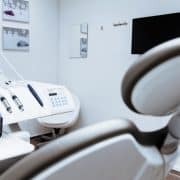 If you’re considering lingual braces, Invisalign, or traditional braces in Brunswick or North Royalton, Papandreas Orthodontics is where you can get all your questions answered. Every patient’s dental health is important to us. We’re dedicated to providing the best and latest orthodontic technology available. Call us today to schedule a free consultation.